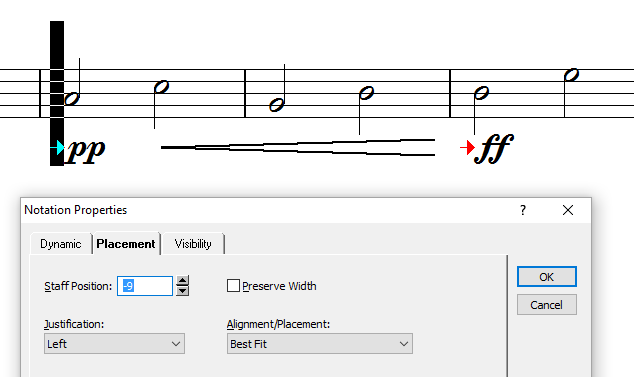 The vertical position of Graphic Diminuendo or Graphic Crescendo is based on the vertical position of the dynamic (Insert: Dynamic) on the staff before it. If you want a change in playback for the Dynamic Variance (cresc, decresc, dim) or the graphic <, >, you will place dynamics on either side. This is detailed in the user guide (pages 20-21).